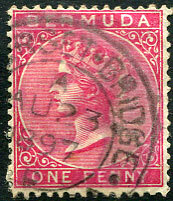 (H1) AP 28 76 on QV 1d (SG.1). 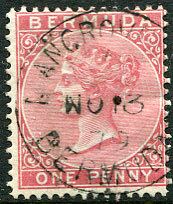 (H1) dated NO 26 73 on QV 1d pale rose CC wmk (SG.2). 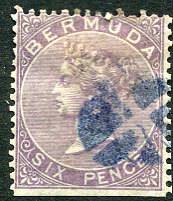 (H1) part dated A/-E 5 70 on QV 1d CC wmk (SG.1). 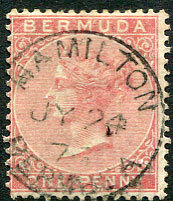 (H1) part dated A/AP -- 71 on QV 1d CC wmk (SG.2). 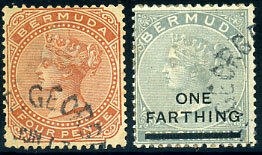 (H1) part dated no code/OC 20 7- (75 or 76) on QV 1d CC wmk (SG.2). 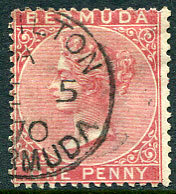 B/MY 22 84 on QV 6d dull mauve (SG.7) piece clearly showing the damaged rim in the K3 "1" duplex cds, abnormal use of 6d at this time. 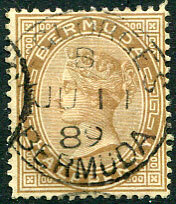 A/JA 7 1902 on QV 2d brown purple (SG.26a). 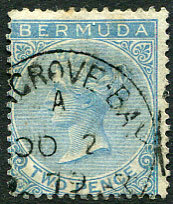 (H2) dated "187" on 1866 QV 3d dull blue CC wmk (SG.3). 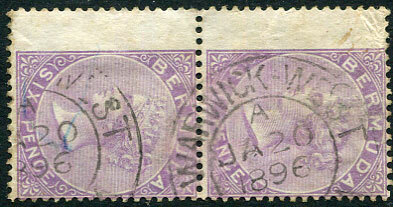 dated 31 MAR 42 on KG6 3d, 1/6d piece with magenta tax duplex for 420 CENTIMES. 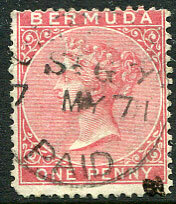 (H1) dated MR 4 75 on QV 1d Crown CC wmk (SG.2). 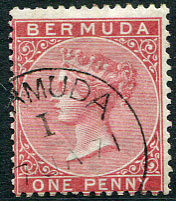 (P5) dated I/7 JA 71 on QV 1d rose-red CC wmk (SG.1). 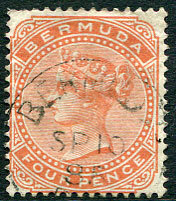 scarce no code/SP 10 85 on QV 4d orange-red CC wmk (SG.20). 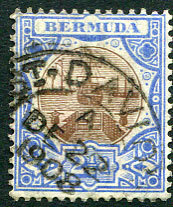 dated A/OC 2 79 being the lesser seen cds portion of the K3 "4" duplex. 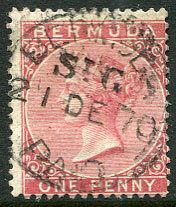 dated 26 AP 71 on 1865 QV 1d rose-red CC wmk (SG.1). 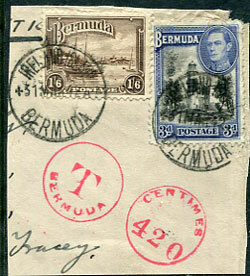 cds portion of the K3 "4" duplex dated A/NO 13 79 on QV 1d CC wmk (SG.2). 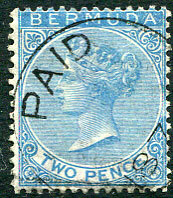 cds portion of the K3 "4" duplex dated A/AP 29 80 on QV 1d CC wmk (SG.2). 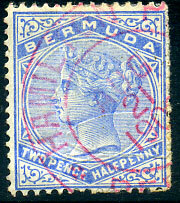 (rare H4) C/JY 24 91 on QV 1d (SG.24). 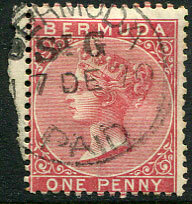 (P5) 17 DE 70 on QV 1d CC wmk (SG.1). 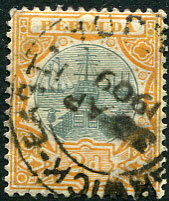 (P5) 21 DE 70 on QV 1d CC wmk (SG.1), horizontal crease. 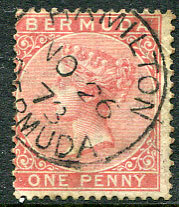 (P5) 7 MY 71 on QV 1d CC wmk (SG.1). 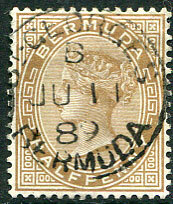 (H1) no code/JY 24 73 on QV 1d CC wmk (SG.2). 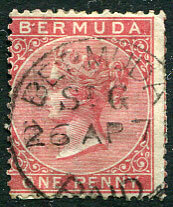 cds portion of K3a duplex dated A/NO 24 81 on QV ½d stone (SG.19). 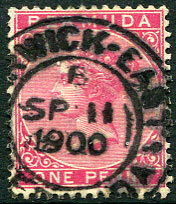 (H5) B/SP 11 1900 on QV 1d (SG.24a). 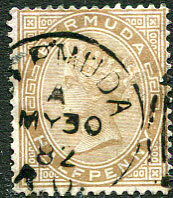 (H5) A/JU 30 1900 on QV 1d (SG.24). 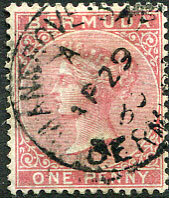 (H5) A/MR 28 1901 on QV 1d (SG.24). 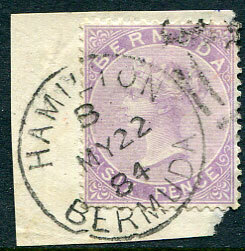 (H5) A/AU 23 1897/A on QV 1d (SG.24a). 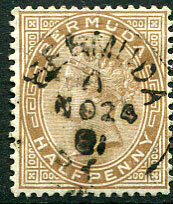 (H5) A/DE 22 1908 on 2½d Dock (SG.40). 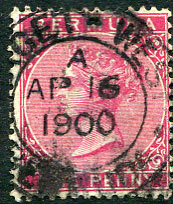 (H5) B/AU 9 1899 on QV 1d (SG.24a), diagonal crease. 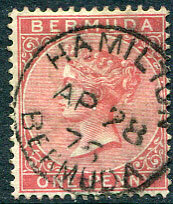 (H5) A/AP 16 1900 on QV 1d (SG.24a). 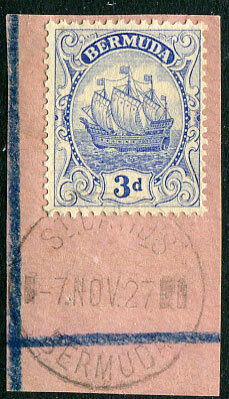 (H9b, apparent side bars) 7 NOV 27 on 3d Ship (SG.83) piece. 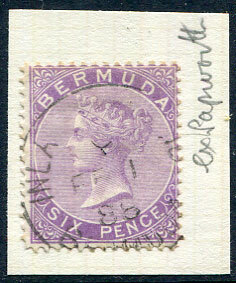 The K3a "3" duplex cds portion dated C/FE 1 88 on QV 6d mauve (SG.7), marked alongside "ex Papworth". 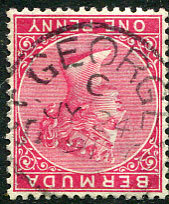 (H1) B/JU 11 89 on normal wmk QV ½d stone (SG.19), part extra cds rim at right. 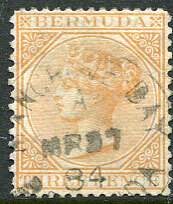 (H1) B/JU 11 89 on Crown CC INVERTED wmk QV ½d stone (SG.19w, Cat.£225), part extra cds rim at left. 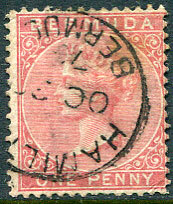 (H1) B/JU 11 89 on Crown CC INVERTED wmk QV ½d stone (SG.19w, Cat.£225), trace of extra rim cancel at left. 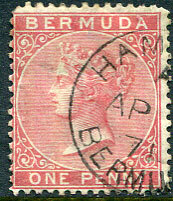 (H1) B/JU 11 89 on Crown CC INVERTED wmk QV ½d stone (SG.19w, Cat.£225), part extra cds at left and trace rim of further strike at base. 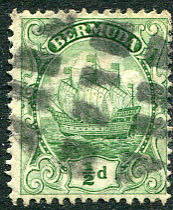 (H5) 30 AP 1909 on 2d Dock (SG.39). 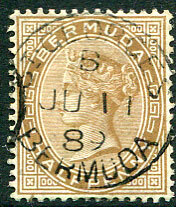 (H5) dated A/JA 20 1896 on vertical pair QV 6d dull mauve (SG.7). 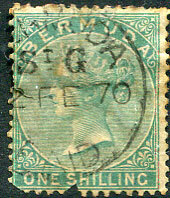 (P5) dated 2 FE 70 contrary to regulations on QV 1/- green CC wmk (SG.8), several defects. 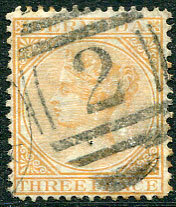 the cds portion of the K3 "4" duplex dated A/MR 27 84 on 1881 QV 3d yellow-buff CC wmk (SG.10). 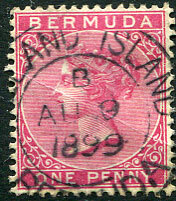 A/OC 21 1901 on QV 1d (SG.24a). 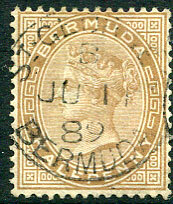 (H12) two earlier than recorded dates of 2 JUN 47 on KG6 2½d pair, and 9 JAN 48 magnificently struck on envelope cut-out piece. 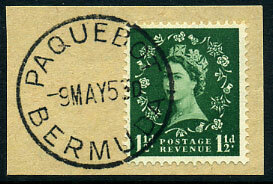 9 MAY 53 on GB QEII 1½d piece. 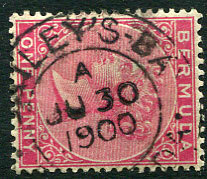 (H5a) in magenta dated AUG 21 1902 on QV 2½d (SG.27b), creases, most elusive. 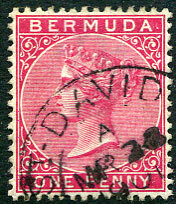 (H1) B/JU 11 89 on normal watermark QV ½d stone Crown CC wmk (SG.19).